WHITE DOO-WOP COLLECTOR: Unrecorded group...THE MERIDIANS. 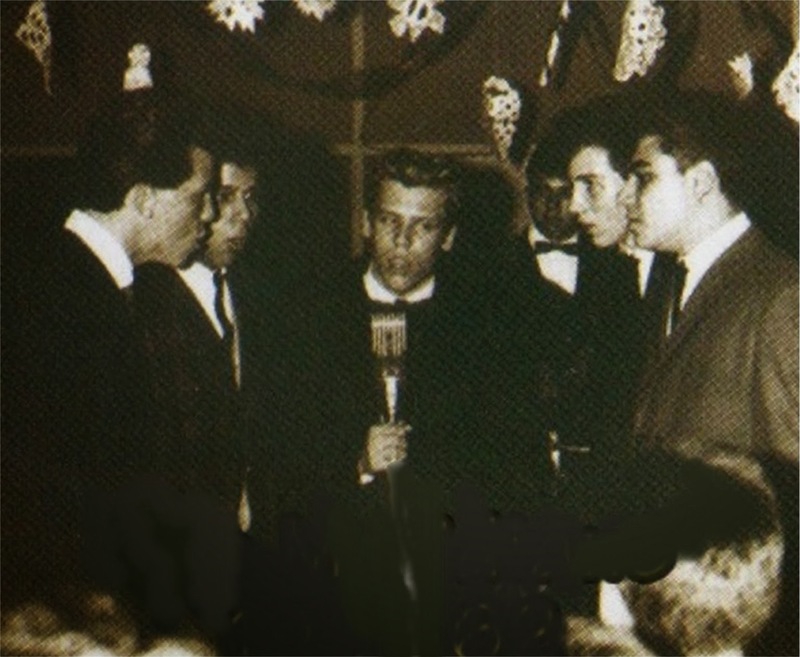 Unrecorded white group from the Bronk,Ny consisted of L to R; Frank Nicholas,Vic Sanseverino,George Rosquist,Bruce Goldie and Anthony Federico. Not records of they were know but members of this group were involved with The Dreamers on Cousin's Records(see in this blog).